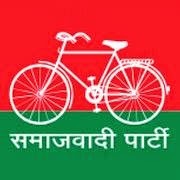 Samajwadi Party on Thursday pulled out of the 'grand alliance' in poll-bound Bihar, saying it felt "humiliated" as it was not consulted while deciding seats and would contest the Assembly elections in the state on its own. The SP's decision ahead of the Bihar polls comes as a jolt to the grand alliance which was floated to counter the BJP in the state. SP National General Secretary Ram Gopal Yadav told reporters in Lucknow on Thursday that "In Bihar the party will contest separately. The bigger parties in the alliance did not consult us while declaring seats due to which the SP felt humiliated. This is not the 'gatbandhan dharma'".